Referring to Gandhi’s claim of a meeting with French President, Sitharaman said there was no proof of the said meeting but whatever she was saying could be double checked. Terming Congress President Rahul Gandhi’s allegations over the Rafale fighter jets deal with France as “absolutely wrong”, Defence Minister Nirmala Sitharaman said the bilateral agreement was signed during the UPA time and carried a secrecy clause. “On the secrecy clause…It is an agreement that was signed during the previous government on January 25, 2008. The agreement of secrecy, which is an umbrella agreement, was signed by then Defence Minister AK Antony,” Sitharam said, flashing some papers in the House, purportedly a copy of the agreement. “This agreement clearly mentions that under Article 10 of inter-governmental agreement (IGA) between India and France on the purchase of Rafale aircraft, the protection of classified information and materials exchanged under IGA shall be governed by the provisions of security agreements signed on January 25, 2008,” she said. 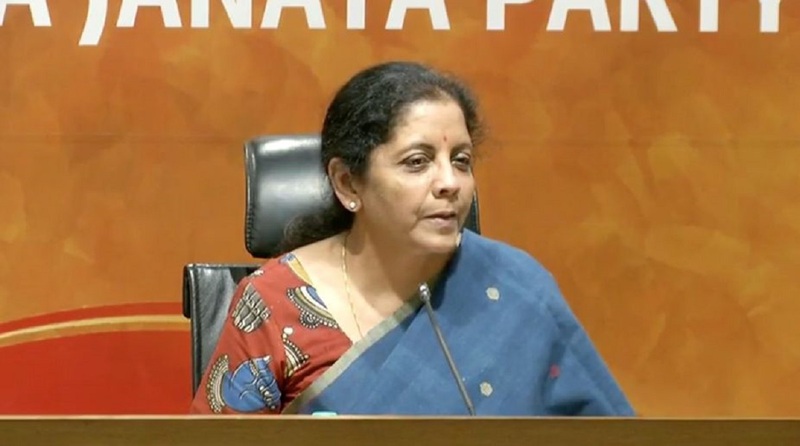 Sitharaman was making an intervention after Rahul Gandhi attacked the government on the Rafale deal during the no confidence motion in the Lok Sabha and alleged that she had spoken “untruth” when she claimed that the Indian government could not reveal details of the deal due to a secrecy pact with France. “The honorable MP (Rahul Gandhi) referred to a conversation between him and the French President. I don’t know what transpired between the two. But I would like to say in one of the interviews to an Indian media House the French President has said: ‘You have these commercial agreements and obviously you have competitors and we can’t let them know the details of the deal’,” she said. “This can be checked. Whatever the Member (Gandhi) said, there is no record, no proof. He just threw it at me…absolutely wrong,” she added. India had signed a government-to-government deal with France in 2016 to buy 36 Rafale fighter jets at a cost of about Rs 58,000 crore. The Congress has been demanding that its details be made public, claiming that the cost of each Rafale jet under the deal negotiated by the UPA government was much lower than that agreed upon by the Modi government in 2016.